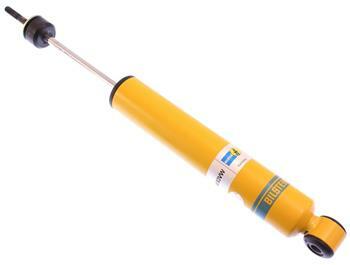 The M 7100 Classic shocks are the most successful shock absorbers in off-road racing history. Since their inception in the early 70’s, BILSTEIN’s monotube shocks have equipped more winning off-road cars and trucks than any other shock. Today, the M 7100 Classic shocks are perfect for meeting the demands of off-road recreational vehicles such as forerunner trucks, Baja Bugs, rockcrawlers and sandbuggies. Spherical bearing end loops, which accept 1/2” and 12mm mounting bolts. Available for standard and coilover applications, this series is primarily designed for vehicles with modified shock mounts and Type I VW suspension.